Two weeks ago I was invited by Audi to visit the Audi Urban Future Award 2010. 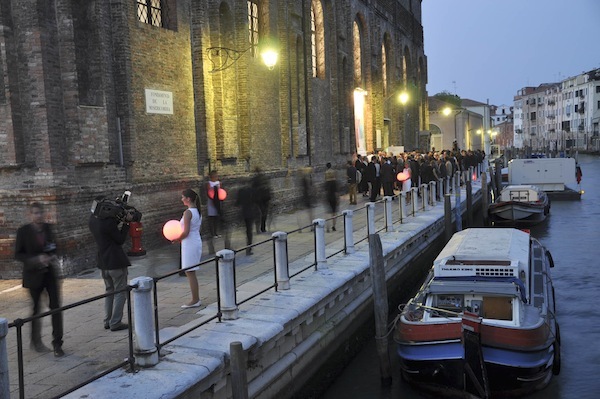 The event took place in the historical and architectural miracle Venice. The idea behind the award is to find answers to challenges the future urbanism will cause by 2030. Six internationally renowned architectural firms from all over the world were asked by Stylepark to participate and develop visions and concepts. “Stylepark is a leading international platform for architecture and design.” They organized the whole event together with the Audi AG. 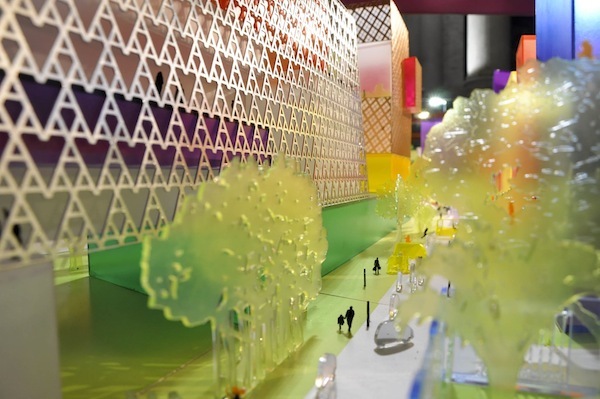 Alison Brooks Architects, BIG – Bjarke Ingels Group, Cloud 9, Diller Scofidio + Renfro, Jürgen Mayer H. Architects and Standardarchitecture were the architectural firms which participated at the challenge. 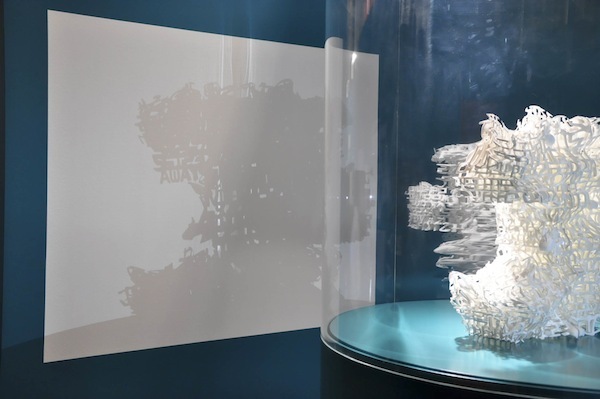 In the final round in Venice only five studios were able to present their visions. The studio Diller Scofidio + Renfro had to cancel because of some real projects. 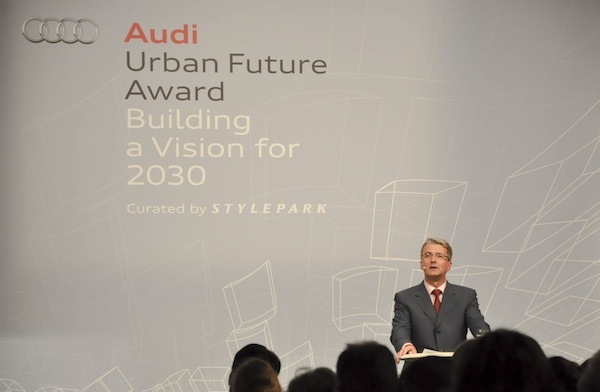 On Wednesday, 25th August, Audi invited to join the celebration of the winner of the Audi Urban Future Award 2010. Kai of Stilsucht and me arrived in Venice in the late afternoon. The event took place at the Scuola Grande Dela Misericordia, an impressive historical building. The prize giving ceremony started with a speech of Rupert Stadler, the chairman of Audi AG. He was not only the host of the event but also part of the jury, which chose the winner. But there were several other well-known people in the jury: Wolfgang Egger, Head of Audi Group Design; Fernando de Mello Franco, Professor at São Judas Tadeu University in São Paulo; Christian Gärtner, Director of Stylepark AG; Andres Lepik, Curator of the Architecture and Design Department at the Museum of Modern Art in New York; Jun Ma, Vice Dean of the School of Automotive Studies at Tongji University in Shanghai; Rahul Mehrotra, teacher at the Massachusetts Institute of Technology and head of the jury Saskia Sassen, Professor of Sociology at Columbia University. It was impressive to see who was asked to join the jury. After the speech of the Rupert Stadler, Saski Sassen presented the five architectural firms and awarded the winner of the challenge. According to the jury the German Design Studio Jürgen Mayer H. Architects had the best presentation and won the Audi Urban Future Award 2010. Digital integration was one of the main aspects in the final concept of Jürgen Mayer H. Architects. After the ceremony the exhibition of the five architects was openend. It was quite fascinating (and somehow bizarre) to see future concepts of urbanism in a historical building in Venice. Like Kai mentioned, in a city that will doubtfully exist the same way in 20 years. You should jump over to Kai’s Stilsucht and read his report. He has also some great pictures of the event. All in all the event was a real blast. You can find some more photos here. In fact it was all too much for a few hours. The displays of the architects were so detailed, it could have taken hours to get a real glimpse of the projects. But unfortunately I wasn’t able to spend enough time at the exhibition to get this insight. I had to leave 12 1/2 hours after I landed in Venice. A company like Audi wasn’t able to book another flight although several other invited people were asked to stay longer. When I reported about other events (here or here) where I was invited in the past, I was always honest and this time I want to be honest as well, although the organisation was such a mess. Not only the ludicrous stay of 12 1/2 hours in Venice but also other parts of the planning were really disappointing. The highlight was a letter of Audi which lay on my bed when I came back to the hotel (at 1.30 am) after the event. It said that I would have been picked up by the taxi at 4.30 instead of 5.30 like it was arranged. To make a long story short. I waited one hour for nothing and got picked up at 5.30. You could say that wasn’t the worst thing but when you stay just 12 1/2 hours in Venice, and sleep 3 hours, it is not that funny anymore. An other thing was that nobody of Audi or Stylepark ever introduced to us. It would have been nice to meet someone of the organizers and to ask a few questions or it even would have been quite good to get the chance to interview someone of the participating architects. So I had to ask some of the stuff my self but it was impossible to get a head of the architectural teams. The funny thing was, that on thursday the event went on with lectures of the participating architectural firms where they described their visions (maybe the most interesting part of event). But it took place without me. 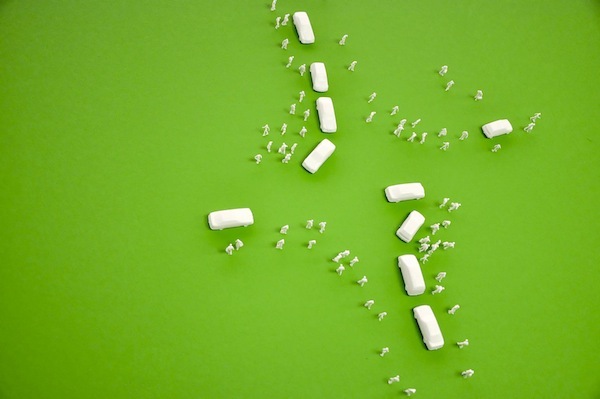 I guess blogs are not really respected in these companies. I must say that these basic conditions made the trip not really enjoyable and that is quite sad, it would have been easy. Oh and by the way: the food was amazing!